Cyrus Kabiru, C-Stunners 2012. Caribbean Sun. © Cyrus Kabiru. Foto: Miguel Luciano. The exhibition showcases the work of over 120 African artists and creators and illustrates how design fuels economic and political changes. “Making Africa” speaks, from Africa, of a new continent “under construction” and places emphasis on its possibilities over its problems. “Making Africa” exhibits the projects of artists and designers originating from and often working in Africa who are addressing a global audience and providing the world with a new perspective of their continent. They often work in various disciplines simultaneously and break with the conventional definitions of design, art, photography, architecture and film. The new media are playing a central role and initially they made this change of perspective possible. Often produced by collectives and within an urban context, the works showcased in “Making Africa” connect the digital revolution with analog existence. They focus more on the process than the result. They interpret materials in a radically new way. They assume their responsibility with relation to society rather than with relation to the markets and make bold forecasts regarding the future. One of the distinctive features of the exhibition is its development process. During a two-year research period, numerous think tanks and interviews were held in major African cities, such as Lagos, Dakar, Cape Town, Cairo and Nairobi. During these sessions, some 70 designers, artists, researchers, architects, gallerists and curators were consulted. In the process, a unique resource on African design was compiled, which supports and enriches the exhibition and its accompanying catalogue. Amelie Klein, specialist in contemporary design at the Vitra Design Museum is the exhibition’s curator and Okwui Enwezor, director of the Haus der Kunst in Muhich and curator of the 56th Venice Biennale 2015, is its consulting curator. The exhibition also has an advisory committee made up of nine experts from different cities around the world such as Cape Town, Lagos, Dakar, London or Nairobi, among others. Making Africa has been co-produced by the Vitra Design Museum (where it was shown from 14 March to 13 September 2015) and the Guggenheim Bilbao (presented from 30 October to 21 February 2016), with the collaboration of Kulturstiftung des Bundes and the Art Mentor Foundation Lucerne. The exhibition dates are from March 23, till August 28, 2016. Vitra Design Museum’s travelling exhibition Making Africa, curated by Amelie Klein with Okwui Enwezor as consulting curator, will be arriving at the Kunsthal Rotterdam on October 1st. Africa has joined the digital world with access to internet and more than 650 million mobile phones – more than in Europe or the United States. The exhibition ‘Making Africa’ presents the work of more than 120 artists and designers to show how design reacts to the economic and political changes in the continent. 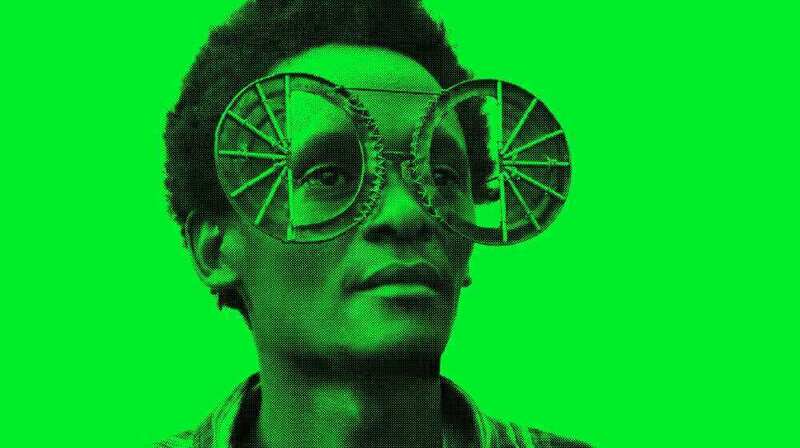 African designers and artists from different disciplines break with the conventional definitions of design, art, photography, architecture and film, such as the sculptural eyewear of Kenyan artist Cyrus Kabiru, the furniture designs of Cheick Diallo from Mali, or the photography of Mozambiquan Mario Macliau and Nigerian J.D. Okhai Ojeikere. The exhibition, which has been produced in collaboration with the Vitra Design Museum, is based on prolonged research and many interviews with African creative personalities. The result is surprising. Besides relatively well-known representatives of the older generation such as the photographers Keita and Sidibé, the exhibition presents an entirely new generation of artists who are engaged in designing the Africa of now and of the future. They pay little heed to the boundaries between disciplines. By combining historical and contemporary work, Making Africa shows that today’s young generation is full of energy and is creating space for new élan. The exhibition dates are from Oct 1, 2016 till Jan 15, 2017. The Cornell Art Museum presents illuminating contemporary art in this group exhibition. Sixteen internationally recognized artists have used light to bring their creative vision to life. Artwork in this exhibit has been featured in galleries and museums worldwide. Participating artists include Troy Abbot, Chris Bracey, Dominic Harris(Priveekollektie), Frank Hyder, Patrick Jacobs, Mark Khaisman, Claudia Meyer, Jason Myers, Meryl Pataky, Valentin Popov, Carol Prusa, Rubem Robierb, Erica Rosenfeld, Olivia Steele, Alex Trimino and Sam Tufnell. Exhibit dates are from 28th of April 28 till 28th of August 28, 2016. Open Tuesday-Sunday, 10 am-4:30 pm; Sunday hours are 12-4:30 pm from May through September; admission is a suggested $5 donation. Dominic Harris is an interactive artist whose chosen palette of materials is lighting, interaction design, and electronics. Dominic’s artworks exhibit an on-going fascination between the marriage of evocative and beautiful concepts with the inventive adaptation of cutting-edge technologies. His training as an architect explains the obsessive attention to detailing and fabrication of his works. Dominic designs and fabricates his artworks at Cinimod Studio, a multi-disciplinary practice he founded in 2007. This studio is comprised of 25 people with diverse backgrounds including architecture, product design, electronics, programming, graphic design, and workshop skills. Dominic uses the resources of Cinimod Studio for the on-going development, prototyping and production of his artworks. Dominic also oversees the studio’s international projects where his fascinations are translated into larger scale projects that span residential, retail, and public art projects. After the great success of arte&danza (art and dance) last September at the San Domenico di Crema theatre, the première of the exposition “Vincenzo Marsiglia. Dopo-Logica/o” by Vincenzo Marsiglia will be on June, 3rd. Before the opening, the dancer Denny Lodi (1990) will perform his choreography, interacting with the pieces created by the Italian artist. The setting of the event is the beautiful Teatro all’Antica , the first modern theatre of history in Sabbioneta (Mantova, Italy) and it will be on June 3rd, from 6.00pm onwards. Exhibition Period: from 3rd June – until 31st July. Open from Tuesday to Sunday, 9.30–13.00 and 14.00-18.30. This Dutch gallery will exhibit across the weekend, with interactive installations from British artist Dominic Harris. Harris is best known for his work with light and video, and for the immersive stylings of his work. The display at Art16 will be no different: Conductor (2015) is a representation of the universe, planets and stars, on a 4K-screen, which responds to movement – move your hand and the planets move too, and the accompanying soundtrack shifts as well. If this is playing God, it’s the most beautiful way to do it.